For women leaving abusive relationships, the complication of dealing with the power and control issues of a violent spouse makes navigating the legal system more difficult. Some women give up and stay with their abuser because it is easier than leaving. Battered Women’s Support Services (BWSS) supports women leaving abusive relationships, through legal advice, representation and advocacy. 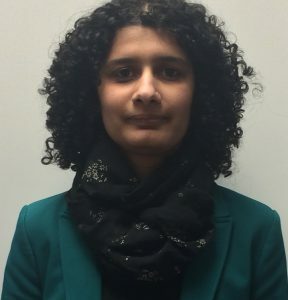 In her new position of Manager, Legal Services and Advocacy at BWSS, Harshada Deshpande is responsible for the management of the Legal Services and Advocacy Program (LSAP) team. She is also working on a number of on-going and new systemic advocacy projects and strategic interventions, such as the submission for the National Inquiry and the MCFD Advocacy Clinics (more on this below). Harshada co-authored (along with Executive Director Angela Marie MacDougall and Manager of Direct Services, Rosa Elena Arteaga) the BWSS Open Letter to Justice Minister David Eby regarding the Provincial Court Family Rules Project. Editor’s note: Thank you for providing us with this update on BWSS’ latest services, Harshada! Approximately 80% of the women who access our services do not have legal representation because they are ineligible for government-funded legal aid and cannot afford a private lawyer. We provide legal information and legal advice in the areas of family law, child protection, and immigration law. Our services also include: providing court accompaniments, document drafting, and support with preparation for court hearings and case conferences for unrepresented women. BWSS supports women leaving abusive relationships, through legal advice, representation and advocacy. Who & What: For women who have or are experiencing violence in their relationships and require legal support with the resulting family law issues. Lawyers from the community with experience in family law will facilitate all workshops. In partnership with the Amici Curiae Paralegal Program, BWSS provides assistance to unrepresented women with drafting Supreme Court forms in family law proceedings, including affidavits, desk order divorce applications, and financial statements. BWSS has been standing in solidarity with Indigenous women across Turtle Island in calling for a National Inquiry into missing and murdered Indigenous women and girls in Canada since before British Columbia’s Missing Women’s Commission of Inquiry (MWCI). On top of running a crisis line and offering legal, advocacy and counselling services, we are actively involved in a coalition on Missing and Murdered Indigenous Women and Girls formulated out of the failure of both group and family participation in the MWCI. Our efforts working in western Canada and northwest British Columbia through an initiative called Women’s Leadership and Training brought together Indigenous women to organize local responses to violence toward. We are an active long-time member of the February 14th Women’s Memorial March committee to honour Indigenous women who have lost their lives to violence in downtown eastside Vancouver. In August 2017, BWSS was successful in obtaining Standing to make submission in the National Inquiry into Missing and Murdered Indigenous Women and Girls. A team of dedicated and passionate women from BWSS, led by the Indigenous Women’s Program, in collaboration with the Legal Services and Advocacy Program, are currently in the process of drafting the written submissions in order to give a voice to the countless Indigenous women and girls who have accessed our services and continue to be invisible in the justice system. BWSS is proud to be one of the first organizations in the province of BC to provide advocacy workshops to women who have involvement with the Ministry of Child and Family Development (MCFD). BWSS’ Indigenous Women’s Program, in collaboration with the Legal Services and Advocacy Program, will be providing monthly clinics to women who have an open file with the MCFD. Staff and volunteers will provide women with short-term support, legal advocacy, court and MCFD meeting accompaniments, and strategic advocacy to support women in keeping themselves and their children safe. Watch this space for updates on the dates of these clinics!